Not to be confused with Broome, New York. Broome County in the U.S. state of New York, as of the 2010 census, had a population of 200,600. Its county seat is Binghamton. The county was named in honor of John Broome, who was lieutenant governor in 1806 when Broome County was established. The county is part of the Binghamton, NY Metropolitan Statistical Area. The current county executive is Jason T. Garnar. Broome County is the site of Binghamton University, one of four university centers in the State University of New York (SUNY) system. When counties were established in the Province of New York in 1683, the present Broome County was part of the enormous Albany County, including the northern part of New York State as well as all of the present State of Vermont and, in theory, extending westward to the Pacific Ocean. This county was reduced in size on July 3, 1766 by the creation of Cumberland County, and further on March 16, 1770 by the creation of Gloucester County, both containing territory now in Vermont. On March 12, 1772, what was left of Albany County was split into three parts, one remaining under the name Albany County. One of the other pieces, Tryon County, contained the western portion (and thus, since no western boundary was specified, theoretically still extended west to the Pacific). The eastern boundary of Tryon County was approximately five miles west of the present city of Schenectady, and the county included the western part of the Adirondack Mountains and the area west of the West Branch of the Delaware River. The area then designated as Tryon County now is organized as 37 counties of New York State. The county was named for William Tryon, colonial governor of New York. In the years prior to 1776, most of the Loyalists in Tryon County fled to Canada. In 1784, following the peace treaty that ended the American Revolutionary War, the name of Tryon County was changed to Montgomery County in honor of the general, Richard Montgomery, who had captured several places in Canada and died attempting to capture the city of Quebec, replacing the name of the hated British governor. In 1789, Montgomery County was reduced in size by the splitting off of Ontario County. The actual area split off from Montgomery County was much larger than the present county, also including the present Allegany, Cattaraugus, Chautauqua, Erie, Genesee, Livingston, Monroe, Niagara, Orleans, Steuben, Wyoming, Yates, and part of Schuyler and Wayne Counties. In 1791, Tioga County split off from Montgomery County, along with Herkimer and Otsego Counties. Tioga County was at this time much larger than the present county and included the present Broome and Chemung Counties and parts of Chenango and Schuyler Counties. In 1798, Tioga County was reduced in size by the splitting off of Chemung County (which also included part of the present Schuyler County) and by the combination of a portion with a portion of Herkimer County to create Chenango County. In 1806, the present-day Broome County was split off from Tioga County. According to the U.S. Census Bureau, the county has a total area of 716 square miles (1,850 km2), of which 706 square miles (1,830 km2) is land and 9.7 square miles (25 km2) (1.4%) is water. Broome County is located in south-central New York, directly north of the border with Pennsylvania in a section of the state called the Southern Tier. The Chenango River joins the Susquehanna River, which flows through the county. The western half of the county is hilly but has wide valleys that accommodate Binghamton and its suburbs. In the northern portion Interstate 81 takes advantage of another glacial valley. To the east, however, the terrain becomes much more rugged as the land tilts up to the Catskills. The highest elevation is a U.S. National Geodetic Survey benchmark known as Slawson atop an unnamed hill in the Town of Sanford. It is approximately 2087 feet (636 m) above sea level. An area due east on the Delaware County line in Oquaga Creek State Park also lies within the same elevation contour line. The lowest point is 864 feet (263 m) above sea level, along the Susquehanna at the Pennsylvania state line. As of the census of 2000, there were 200,536 people, 80,749 households, and 50,225 families residing in the county. The population density was 284 people per square mile (110/km²). There were 88,817 housing units at an average density of 126 per square mile (49/km²). The racial makeup of the county was 91.33% White, 3.28% Black or African American, 0.19% Native American, 2.79% Asian, 0.03% Pacific Islander, 0.79% from other races, and 1.59% from two or more races. 1.99% of the population were Hispanic or Latino of any race. 16.1% were of Irish, 13.3% Italian, 12.3% German, 11.6% English, 6.4% American and 5.7% Polish ancestry according to Census 2000 . 91.4% spoke English, 2.0% Spanish and 1.1% Italian as their first language. There were 80,749 households out of which 28.20% had children under the age of 18 living with them, 47.60% were married couples living together, 10.80% had a female householder with no husband present, and 37.80% were non-families. 31.00% of all households were made up of individuals and 12.40% had someone living alone who was 65 years of age or older. The average household size was 2.37 and the average family size was 2.97. In the county, the population was spread out with 23.00% under the age of 18, 11.00% from 18 to 24, 26.80% from 25 to 44, 22.80% from 45 to 64, and 16.40% who were 65 years of age or older. The median age was 38 years. For every 100 females there were 93.20 males. For every 100 females age 18 and over, there were 89.90 males. The median income for a household in the county was $35,347, and the median income for a family was $45,422. Males had a median income of $34,426 versus $24,542 for females. The per capita income for the county was $19,168. About 8.80% of families and 12.80% of the population were below the poverty line, including 15.90% of those under age 18 and 7.20% of those age 65 or over. Broome County's offices are housed in the Edwin L. Crawford County Office Building of Government Plaza located at 60 Hawley Street in Downtown Binghamton. In 2016 Donald Trump became the first Republican to win the county since Ronald Reagan in 1984. The Broome County Legislature consists of 15 members. All fifteen members of the legislature are elected from individual districts. Currently, there are 11 Republicans and 4 Democrats. Binghamton University With a student population of 16,000, it is responsible for a large portion of the population in and around Broome's largest city, Binghamton, New York. Broome Community College (BCC) serves as a two-year associate-granting institution for local residents. Davis College is a small, private, Christian college in Johnson City, New York. Ridley-Lowell Business and Technical Institute is a career technical institute that offers career training programs. Map of Broome County, New York showing towns and villages. For map key, click on image. For a more comprehensive list, see List of people from Binghamton, New York. George F. Johnson, industrialist, philanthropist, co-founder of Endicott-Johnson Co.
^ Included are voters affiliated with the Conservative Party, Green Party, Working Families Party, Independence Party, Women's Equality Party, Reform Party, and other small parties. ^ "U.S. Census Bureau QuickFacts: Broome County, New York". Census Bureau QuickFacts. Retrieved 23 April 2018. ^ a b "State & County QuickFacts". United States Census Bureau. Retrieved October 11, 2013. ^ "2010 Census Gazetteer Files". United States Census Bureau. August 22, 2012. Archived from the original on May 19, 2014. Retrieved January 3, 2015. ^ "Hiking in Broome County". www.cnyhiking.com. ^ "Population and Housing Unit Estimates". ^ "U.S. Decennial Census". United States Census Bureau. Archived from the original on May 12, 2015. Retrieved January 3, 2015. ^ "Historical Census Browser". University of Virginia Library. Retrieved January 3, 2015. ^ "Population of Counties by Decennial Census: 1900 to 1990". United States Census Bureau. Retrieved January 3, 2015. ^ "Census 2000 PHC-T-4. Ranking Tables for Counties: 1990 and 2000" (PDF). United States Census Bureau. Retrieved January 3, 2015. ^ "County Executive - Jason T. Garnar | broomecountyny". www.gobroomecounty.com. Retrieved 2017-01-30. ^ "Welcome to the Broome County Legislature - broomecountyny". www.gobroomecounty.com. ^ "NYSVoter Enrollment by County, Party Affiliation and Status" (PDF). New York State Board of Elections. April 2018. Archived from the original (PDF) on May 2, 2018. Retrieved May 2, 2018. ^ Who Was Who in America, Historical Volume, 1607-1896. Chicago: Marquis Who's Who. 1963. Cayuga County is a county in the U.S. state of New York. As of the 2010 census, the population was 80,026. Its county seat is Auburn. The county was named for one of the tribes of Indians in the Iroquois Confederation. Chenango County is a county located in the south-central section U.S. state of New York. As of the 2010 census, the population was 50,477. Its county seat is Norwich. The county's name originates from an Oneida word meaning "large bull-thistle." Delaware County is a county located in the US state of New York. As of 2010 the population was 47,980. The county seat is Delhi. The county is named after the Delaware River, which was named in honor of Thomas West, 3rd Baron De La Warr, appointed governor of Virginia in 1609. Madison County is a county located in the U.S. state of New York. As of the 2010 census, the population was 73,442. Its county seat is Wampsville. The county is named after James Madison, fourth President of the United States of America, and was first formed in 1806. Tioga County is a county in the U.S. state of New York. As of the 2010 census, the population was 51,125. Its county seat is Owego. Its name derives from an American Indian word meaning "at the forks", describing a meeting place. Schoharie County is a county in the U.S. state of New York. As of the 2010 census, the population was 32,749, making it the state's fifth-least populous county. 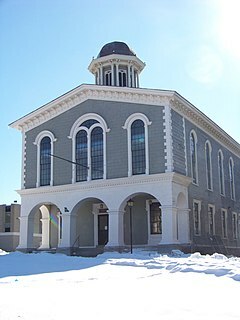 The county seat is Schoharie. "Schoharie" comes from a Mohawk word meaning "floating driftwood." Schuyler County is a county in the U.S. state of New York. As of the 2010 census, the population was 18,343, making it the second-least populous county in New York. The county seat is Watkins Glen. The name is in honor of General Philip Schuyler, one of the four major generals in the Continental Army in the American Revolutionary War. Tompkins County is a county located in the U.S. state of New York. As of the 2010 census, the population was 101,564. The county seat is Ithaca. The name is in honor of Daniel D. Tompkins, who served as Governor of New York and Vice President of the United States. St. Lawrence County is a county in the U.S. state of New York. As of the 2010 census, the population was 111,944. The county seat is Canton. The county is named for the Saint Lawrence River, which in turn was named for the Christian saint Lawrence of Rome, on whose Feast day the river was discovered by French explorer Jacques Cartier. Barker is a town in Broome County, New York, United States. The population was 2,732 at the 2010 census. The town is named after John Barker, an early settler. The town is in the northern part of Broome County and is north of Binghamton. Colesville is a town in Broome County, New York, United States. The population was 5,232 at the 2010 census. Conklin is a town in Broome County, New York, United States. The population was 5,441 at the 2010 census. Maine is a town in Broome County, New York, United States. The population was 5,377 at the 2010 census. Triangle is a town in Broome County, New York, United States. The population was 2,946 at the 2010 census. The town's primary settlement is the village of Whitney Point. Union is a town in Broome County, New York. As of the 2010 census, the town had a total population of 56,346. The name derives from the town having served as a rendezvous for the Sullivan Expedition. Binghamton is a town in Broome County, New York, United States. The population was 4,942 at the 2010 census. The town is named after an early developer, William Bingham. The 22nd Congressional District of New York is a congressional district for the United States House of Representatives, currently represented by Democrat Anthony Brindisi. Significant cities in the district include Utica, Rome, Cortland and Binghamton. Binghamton University, Hamilton College, Colgate University, and Utica College are located in the district. New York State Route 79 (NY 79) is an east–west state highway in the Southern Tier of New York, in the United States. The western terminus of the route is at the intersection with NY 414 near the southern end of Seneca Lake just northeast of Watkins Glen. Its eastern terminus is at the Pennsylvania state line in the town of Windsor in Broome County, where it connects to Pennsylvania Route 92 (PA 92). NY 79 passes through three regions; it starts in the Finger Lakes region, runs through Central New York and ends on the western fringes of the Catskills. The route is signed east–west, but from Whitney Point to the state line it runs in a north–south orientation and is signed north-south a few miles south of Center Village, a hamlet that is a few miles south of Harpursville. The Binghamton Metropolitan Statistical Area, also called Greater Binghamton or the Triple Cities, is a region of southern upstate New York in the Northeastern United States, anchored by the city of Binghamton. The MSA encompasses Broome and Tioga counties, which together had a population of 251,725 as of the 2010 census. From 1963 to 1983, the MSA also included neighboring Susquehanna County in Pennsylvania, part of which still falls in the Binghamton, NY–PA Urban Area. 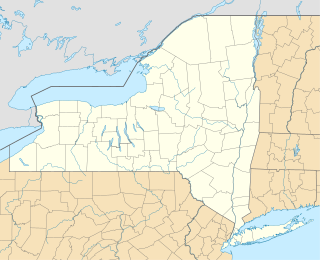 In addition to these three counties, the greater region includes parts of Delaware and Chenango counties in New York; portions of Cortland and Otsego counties in New York and Wayne County, Pennsylvania are sometimes considered part of the region as well. Using the definition of a 30-mile radius from Binghamton, the population as of the 2010 census is 317,331. In the Southern Tier of New York State, nestled on the north bank of the Susquehanna River, just east of its confluence with the Chenango River one finds Downtown Binghamton. It is the business and administrative center of the City of Binghamton, the Greater Binghamton area and Broome County.